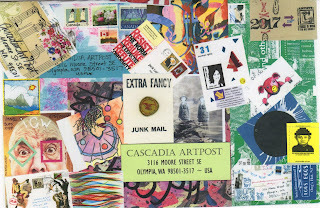 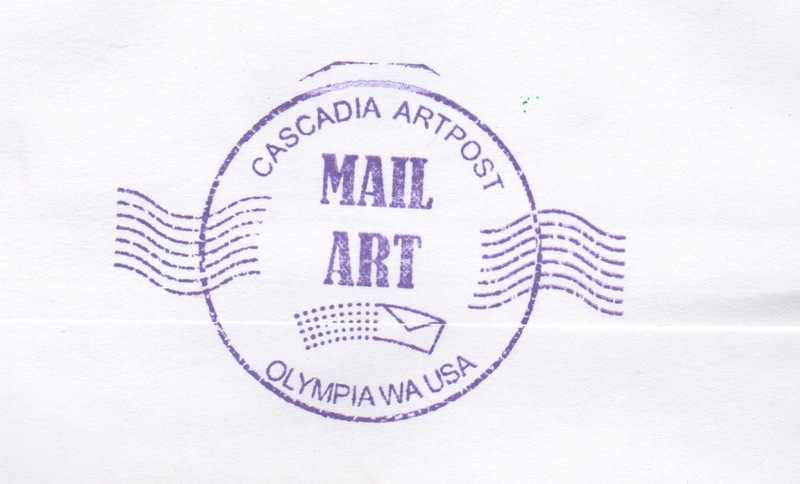 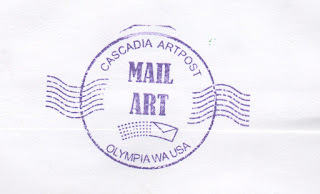 A truly collaborative New Year wish from Cascadia Artpost! 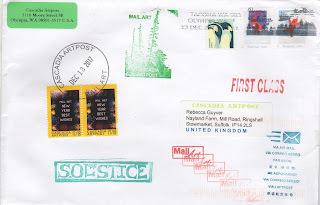 And I'm not even sure why he bothers with me as I have been absolutely lame in sending mail this past year. 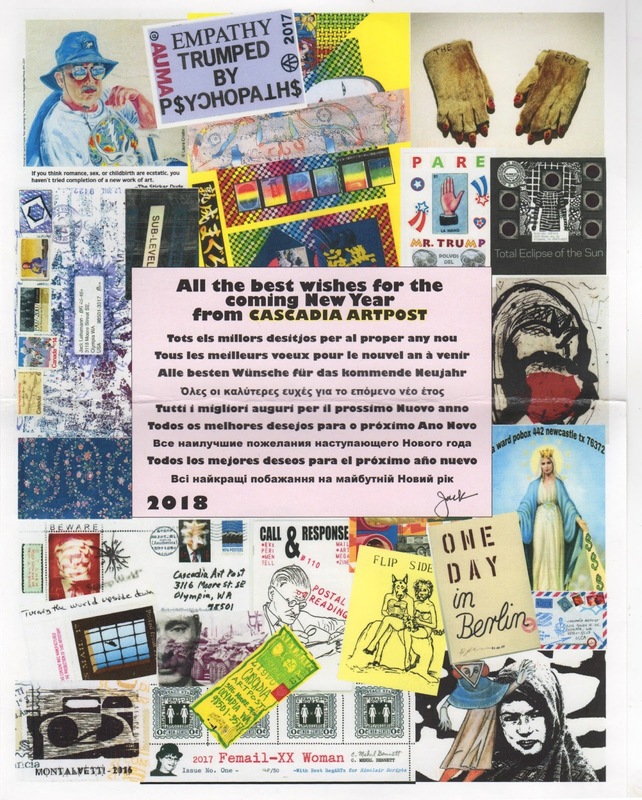 But phew, I made the New Year's card list and I am delighted. 2017 was the year of the clown for Cascadia and I see some returns on that. 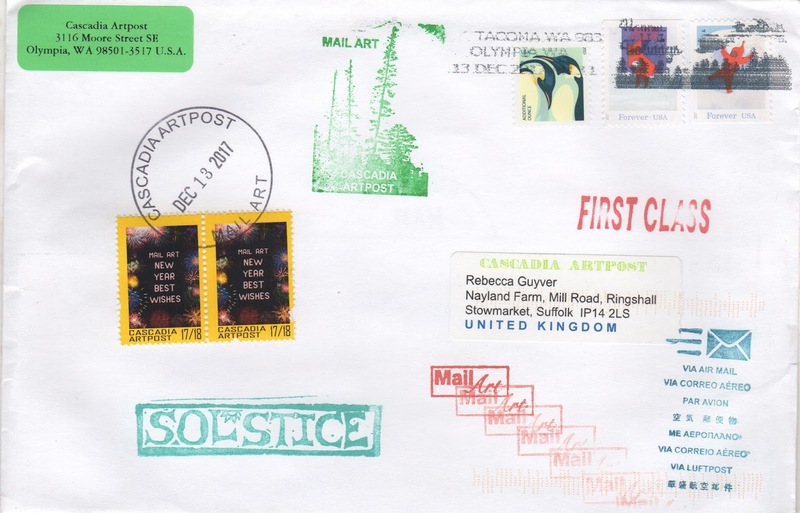 In fact we share a few mail artist friends, Joel and Catherine are instantly recognisable. But all in all, what a fabulous collage and a wonderful world of mail art. 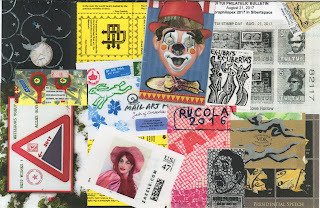 I must try harder again. Thanks so much for including me in the mailing and Happy New Year!